Alicante is more than just a gateway to the coastline of the Costa Blanca: it's a dynamic regional capital with a very Spanish feel! Most of the interesting sights, the 16th Century castle of Santa Barbara, the Museum of Contemporary Arts and many of the best places to stay in Alicante are found in the historic quarter. Alicante also offers unmistakably Spanish nightlife, including some excellent tasting opportunities. Alicante's impressively lovely city beach, Playa del Postiguet, is right opposite the Casco Antiguo (Old Town), which is below the castle and the Santa Cruz district. Get your bearings by walking along Alicante's gorgeous seaside promenade, the Parque de Canalejas, and you'll see many of the city's highlights. This area also has many of Alicante's restaurants, cafes and tapas bars. There's an endless choice with plenty to offer all wallet sizes - just remember, you're on Spanish time. If you want to shop further you're right around the corner from the Avenida Maisonnave - but remember the siesta time, some stores don't reopen until quite late in the day. Alicante's proximity to the airport is what gives this provincial capital popularity with the package holiday operators. It is a great destination for a winter-sun city break. Visit the 16th century Castle of Santa Barbara, perched on a hillside and offering wonderful views over the entire city. If you're here for the beaches it's worth taking the tram out to the Play de San Juan, which is larger and usually less crowded than the city beach. For those who fancy some buzzing nightlife and are up for a train journey, it's only a short jaunt to Benidorm. Alicante's market is hidden in amongst the narrow streets, but if you don't see it you'll smell out its cheese and charcuterie. Open in the mornings until about siesta time. Culture vultures will enjoy spending an hour or two perusing the Museo de Arte Contemporaneo's lovely collection. If you're coming in the busy summer months then be sure to book ahead as the best places to stay in Alicante get quickly filled up! The Hospes Amérigo is good for a bit of modern, city break glamour. This chic hotel offers gourmet cuisine and poolside pampering with stunning views of Santa Barbara Castle and only 300 metres from the beach. Location wise it is definitely one of the best places to stay in Alicante. The best time to visit Alicante is during the summer months - the average daily temperature reaches 26°C in July and August, and can often soar much higher! However this is peak tourist season, so for a quieter (and potentially cheaper) alternative consider coming in May, September or October. International visitors can fly into Alicante-Elche Airport, 10km east of the city, before taking the bus or the tram on to their final destination. Ryanair and Jet2 fly direct from Stansted to Alicante, whilst easyJet depart from Luton and Southend. Browse through our list of all the best places to stay in Alicante. Alternatively, expand your search and look at all our recommendations in the Costa Blanca. A chic boutique property in the heart of Alicante, just a short stroll from the beach. Spacious rooms are individually designed and mix contemporary and modern styles to great effect. A fabulous restaurant serves up exemplary Mediterranean fare and there's a sunny terrace to enjoy a cocktail on too. Local exploring - Located in the heart of the city of Alicante with many of its attractions within walking distance. 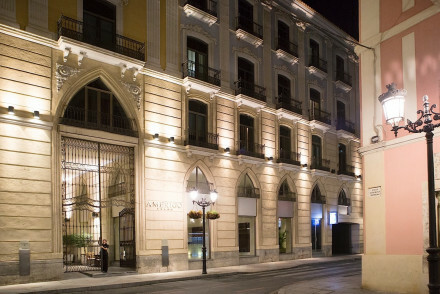 Great walks - Take an evening wander down the beautiful La Explanada de Espana. Sights nearby - Visit the magnificent Santa Barbara Castle. Gourmet cuisine and pool-side pampering at this chic hotel. 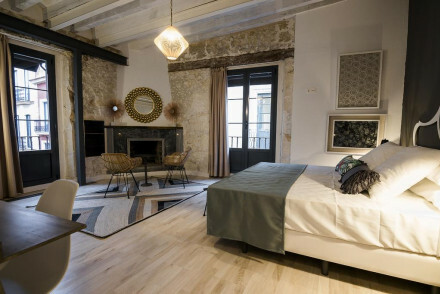 Centrally positioned in the historic district of Alicante with stunning views of the cathedral and Santa Barbara Castle - and only 300 metres from the beach. Sophisticated city style. Foodies - Gourmet cuisine at el Monastrell Restaurant.